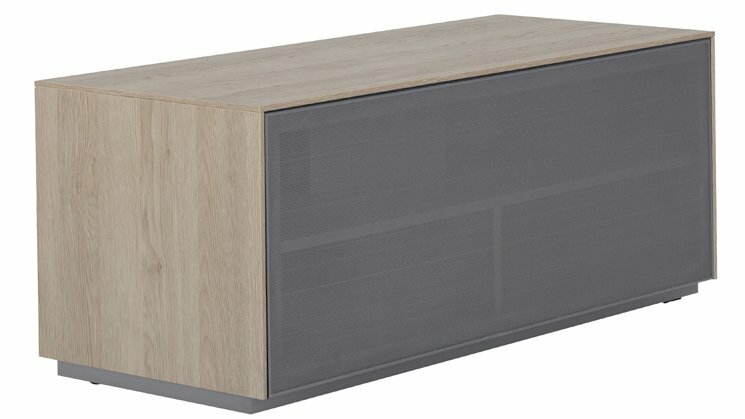 The Outline 1050 is the ideal audio visual performance cabinet for the modern entertainment set-up, built to discreetly accommodate your soundbar, AV components and TVs up to 48”. The 1050 is packed full of all the performance features you would expect from an Outline cabinet including hidden wheels, ventilation, cable management, premium hardware combined with the Outline range’s unique colour-coded aluminium audio mesh front. The Outline 1050 is also delivered 100% fully assembled, offering a quick and easy option to huse your media system in style.